This excellent Citrix CXS-203: XenServer 6.5 Design, Implement and Administer course will fully prepare you to sit the Citrix CXS-203 exam. 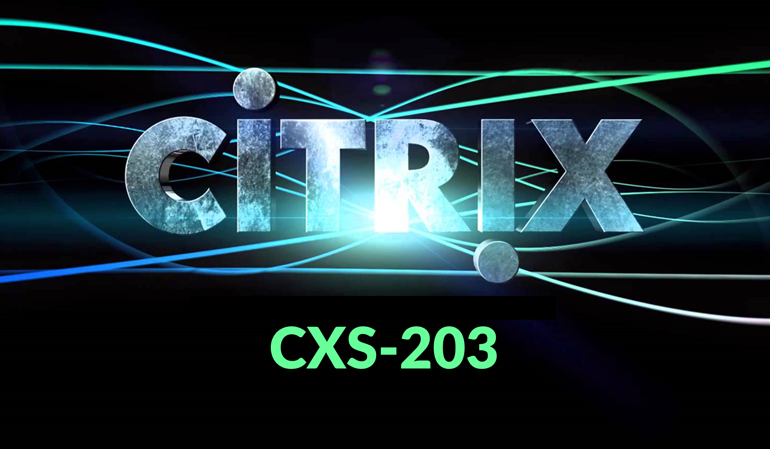 The Citrix CXS-203 certification will validate your ability to effectively install, configure, administer, and troubleshoot XenServer. In addition, during this Citrix CXS-203 course you’ll learn how to configure a Provisioning Services host, and create and manage vDisks in a XenServer environment. This Citrix CXS-203 course will also teach you to configure the Distributed Virtual Switch (DVS) as well as Workload Balancing (WLB), and create and manage Windows virtual machines and the resource pools in which they will be placed. This course is designed for IT professionals, Administrators, Architects, and Systems Engineers.